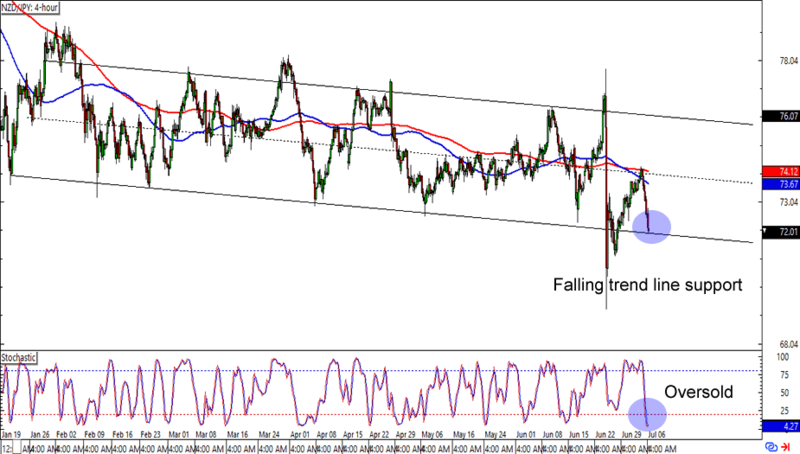 First up for today is a nice trend trade on NZD/CHF. After getting rejected at the .7050 area, the pair looks like it’s headed for the .6800 levels. It also doesn’t hurt that stochastic is flashing an oversold signal. 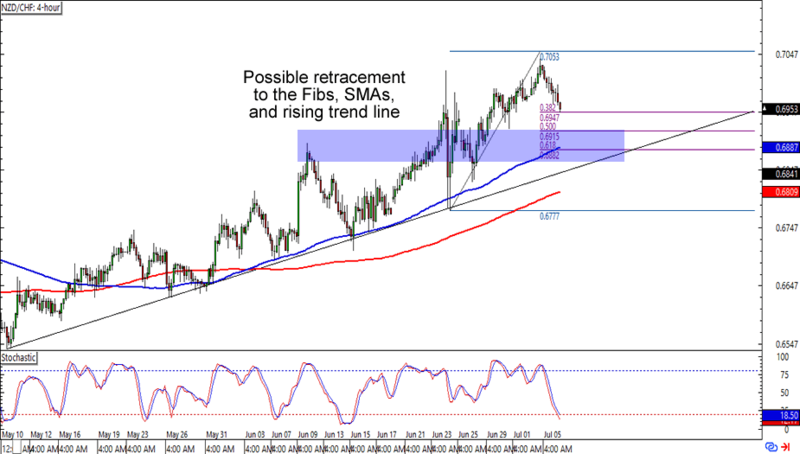 If you’re one of them Kiwi bulls, then you can watch out for potential entry points near the Fibs, 100 SMA, and former areas of interest. Read up on trend trading if you haven’t done it yet! Can’t get enough of the Kiwi? Here’s one for the countertrend traders! NZD/JPY is about to hit the 72.00 major psychological level, which is right smack at a falling channel support on the 4-hour time frame. What’s more, stochastic is also chillin’ like a villain on the oversold levels. Think the Kiwi is about to pop up against the yen? A long trade at current levels could give you a nice trade especially if you aim for the channel resistance. Just make sure you keep close tabs on your trades. Countertrend trading isn’t for everyone, yo! Aussie traders huddle up! 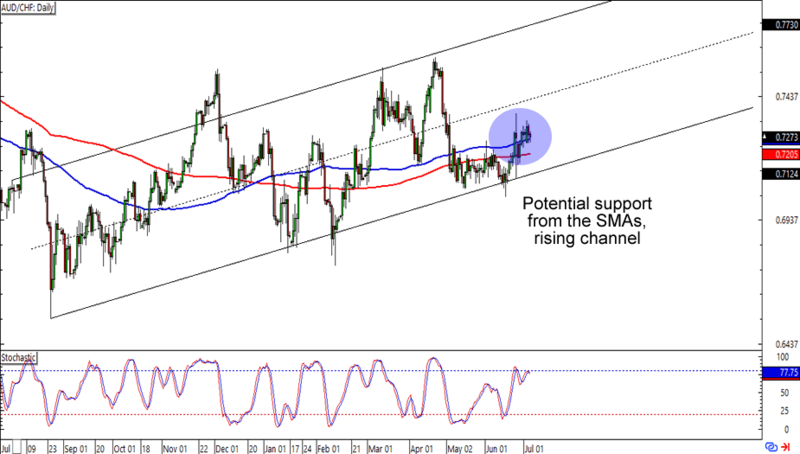 AUD/CHF has just bounced from the .7200 levels, which lined up with a rising channel retest on the daily time frame. Will the Aussie shoot back up all the way to its previous highs? A long trade at current levels could still get you a good reward-to-risk ratio. Of course, you could also wait for stochastic to hit the oversold region and look for a better entry spot. In any case, make sure you practice good risk management, aight?